Fred Luter, Jr. First African-American President of SBC. I’ve been fascinated by all that has come out of the Southern Baptist Convention which was held June 19-20 in New Orleans this year. Southern Baptists are the largest denomination in the United States with over 16 million members in 2010. Prior to the Civil War, the Southern Baptists separated from the Northern Baptists over the issue of slavery. After the Civil War, most black Baptists churches separated themselves from the Southern Baptists and started the National Baptist Convention. During the last half of the 20th century, the SBC began moving away from its southern distinctions, becoming both more racially diverse and again more national, with representation in at least forty different U.S. states. The biggest public news to come out of this year’s convention was the election of Fred Luter, Jr., as the first African-American president of the convention. 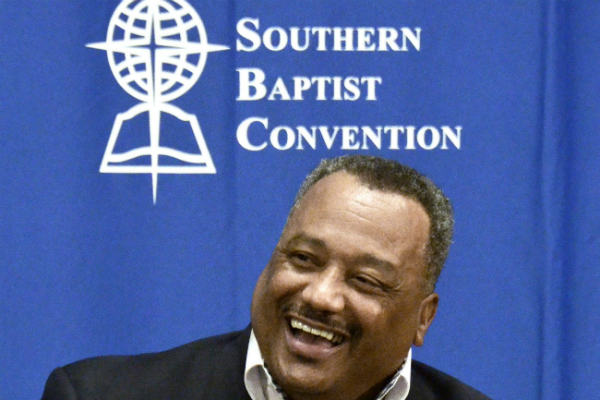 Although there are only 3400 black churches in the SBC, Luter, minister for the First Baptist Church in New Orleans, was elected “with overwhelming affirmation, sustained applause and no verbal opposition” (BP News). Although some critics point out that this is a very small step –and a late step—in developing greater diversity, surely we can agree that Luter’s election is a positive move for a church virtually denominated by racism for so many years. The biggest controversyat the SBC was the battle to determine how Calvinistic real Baptists are. Interestingly enough, some are surprised that any Baptists are Calvinist, while others would argue that all Baptists came out of Calvinism. In 2009, Time magazine named “The New Calvinism” one of the ten ideas changing the current world (3/12). Only 10% of current Southern Baptist pastors say they are Calvinists, but surprisingly, over 30% of recent SBC seminary graduates identify themselves as such. The future seems to be moving towards Calvinism among the Baptists. Because of that look into the future of their denomination, just before the SBC convention in New Orleans, a well-renowned group of Baptist leaders published a paper entitled, “A Statement of the Traditional Southern Baptist Understanding of God’s Plan of Salvation,” in which they tried to state for the record what Southern Baptist accept and reject about Calvinism. At the convention, the word heresy was thrown around—just to demonstrate how emotional and divided the Baptists are on this theme. Churches of Christ and most restoration movement churches simply reject Calvinism out of hand. Many argue that the restoration movement was a reaction to the Calvinism of the churches its leaders were leaving. What this means is that most average members in our fellowship have never even heard of TULIP, nor would they be tempted by any of its positions even if they had. That general indifference does not mean, however, that our younger generation of preachers especially are unaffected by the teachings of men like John Piper, Mark Driscoll, Tim Keller, and others. I’m going to come back to Calvinism soon, but I do want to say now that I do believe that we may have been so afraid of those biblical words predestination and election that we have had a tendency to selectively limit God—and imposing limits on God I find to be extraordinarily presumptuous! 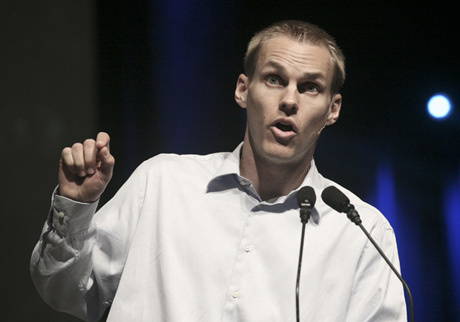 Finally, the biggest speech of the SBC convention may have been delivered by David Platt, author of Radical: Taking Back Your Faith From the American Dream and Radical Together: Unleashing the People of God for the Purpose of God, two books widely read and discussed in evangelical circles. Platt had been criticized for statements he had made at a conference in Austin which seemed to suggest that he had serious issues with the “sinner’s prayer.” Questioning the “sinner’s prayer” for Baptists is like throwing stones at Billy Graham and all the great evangelists. In addition, his perceived criticism of the “sinner’s prayer” seemed to his critics to align him with the “Calvinist stars” of the Southern Baptist, so Platt felt the need to speak to that criticism during the Pastors Conference of the SBC convention. His speech was entitled “What I Really Think About the ‘Sinner’s Prayer,’ Conversion, Mission, and Deception.” Fortunately, he posted the text of his address in his blog on 6/28/2012 and it was re-posted by Christianity Today at its web-only site. Click here for the full text. Why am I bothering to report on the Southern Baptist to you, most of whom are not Southern Baptist? What difference does it make what David Platt thinks? If you are asking these questions, then you need to get on Twitter and just listen to our younger preachers. At lectureships just this year—the nearest thing Churches of Christ have to conventions—I have heard and sometimes participated in discussions of lingering racism in our congregations, especially the lack of recognition and platform for younger, minority preachers. I have heard the serious debate over the existence of Hell and the questioning of the need for evangelism. These conversations are our version of these same issues the Baptists are discussing. Why am I interested in the SBC convention? Because their public issues will be our issues in the near future—if they aren’t ours already!